Palliative Care and Chronic Pain: Time for a Rethink? There is a revolution in palliative care. No longer just for those with advanced and often-incurable illness, individuals receiving palliative care may have a prognosis of years if not decades. We are starting to see this revolution occur all around us with the development of outpatient clinics that integrate palliative care at the time of a diagnosis of serious illness. With any revolution though, things are never as easy as they first seem to be. One area that becomes increasingly more complicated is the question of how best to treat pain that also may persist for years, if not decades, in those who have a serious illness or who are survivors of that illness. An excellent case example of this comes from a paper recently written by Jessica Merlin, Julie Childers and Robert Arnold. Ms L is a 52-year-old woman with a history of a malignant glioma and bipolar disorder. She underwent resection, adjuvant chemotherapy, and radiation therapy for her tumor 6 months ago. She had a complete response to therapy with no sign of recurrence on recent imaging. She was referred to the palliative care outpatient clinic because her oncologist was uncomfortable with continuing to refill her opioid analgesics, as she has no signs of an active malignancy. Ms L tells the palliative care clinician that ever since the surgery for her cancer, she has had severe pain in the left side of her face with hearing loss in that ear. For these symptoms, she has tried gabapentin and carbamazepine at their maximum doses, with no benefit. Traditionally there has been a distinction between cancer pain and chronic non-cancer pain. Ms L's case demonstrates that this is a relatively arbitrary distinction, especially when it comes to long-term cancer survivors who have chronic pain as a resulting from cancer treatments. How is her pain, which many would consider "cancer pain," different than the same type of pain from some non-cancerous source like trauma? What about her risk of misuse or abuse or her pain medications? Does Ms L's cancer history give her some resiliency to protect against future risks of misuse and abuse, or should we treat her with the same level of respect by ensuring that any harms of medications we start are assessed for and mitigated? For me, Ms L's case underscores the a nagging question, are we as a field ready to deal with chronic pain in a palliative care population that has increasingly improved prognosis? In the paper by Merlin, Childers and Arnold, the authors argue for a set of core clinical competencies that palliative care clinicians need to effectively manage patients with chronic pain. Others are working on this too. AAHPM will be hosting free pre-conference session on Wednesday March 13th from 1-5pm to help educate palliative care clinicians on the risk evaluation and mitigation strategies associated with long-acting and extended-release opioids (AGS will also be hosting this session on May 2rd from 1-5pm). Attendees are expected to walk away with strategies they can use to effectively implement safe use practices of opioid use in patients just like Ms L.
This pre-conference session, entitled "Opioid Risk Evaluation and Mitigation Strategy (REMS)—Prescriber Education That Is Relevant, Case Based, and Addresses the Tough Issues" is part of the Collaboration for REMS Education (CO*RE), which recently received approval from the REMS Program Committee (RPC) for its national initiative to support educational activities addressing the public health issues surrounding the use, abuse, diversion and overdose associated with of Extended Release/Long Acting (ER/LA) opioids. Perhaps palliative care should partner with the folks working on the unique issues in cancer survivorship to think more about cases like this. As someone who is very comfortable with opioids, I must admit that I'm extremely concerned about the increased deaths among adolescents who take their parents drugs. We need these drugs to be available but we need strategies to be as safe as possible. We need to treat suffering but we also need to do no harm. Chronic pain mustn't be ignore as it may leads to serious level and ti must be treated immediately. There are many causes of chronic pain and we need to consult a massage therapist or a chiropractor to deal with it. If you find a person in your family who is in depression or having symptoms of diseases, then he/she will need of the Palliative care. Chronic pain is somewhat different from the palliative care. There are so many good palliative care services providers who will willingly help the people who really need palliative services. I live in southeastern Ky where there has been serious legislation to combat the abuse and diversion of narcotics. This has harmed the chronic pain community in such a way as it has taken pain management back to the middle ages. 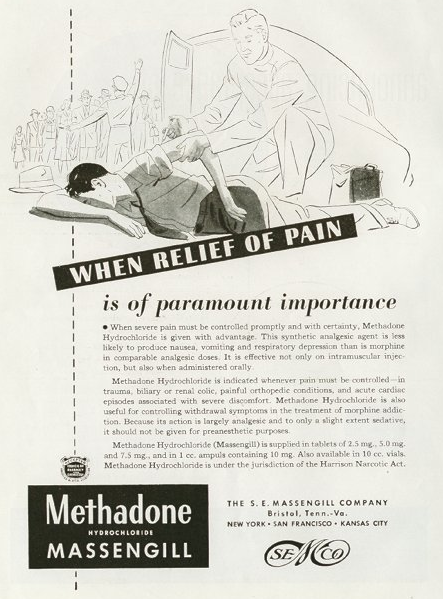 We used to say that patients had a right to pain management. I am a retired Nurse due to Parkinson's Disease. I also have a cervical Dystonia with head drop and some disc problems. I have been so miserable I have considered asking my Doctor about Hospice Care. I am at a point in which it is more comfortable to lay for several hours then be up but after laying it hurts so bad to get up or turn that it takes a while to manage once I get up again. I am on opioids and I go to a pain management practice but my primary care Doctor that practices locally will not write prescriptions. None of them that I know of will. I travel 120 miles one way to the clinic to see Pain Mnagement. It is a terrible trip. I can't clean my house anymore and have very little joy in life. Sometimes after my medication for break through pain I get some relief but it is short. I have tried to talk to the doctors about increasing my medication but they said It wasn't possible. I've had epidural injections, botox injections and Physical Therapy. I'm waiting to see what will happen but I feel like for all the years I made my patients comfortable, I deserve some myself. Must I have a cancer diagnosis to spend my last years with comfort and quality?